So, the fastest man in the world, Usain Bolt, has an amazing and ofcourse supportive girlfriend. 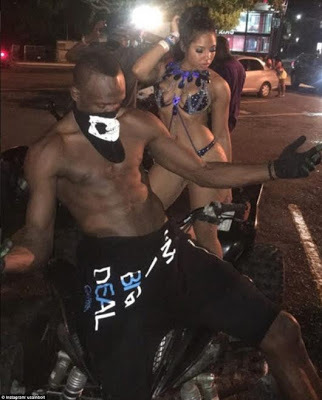 Usain Bolt aims to complete a historic nine gold medal haul when he competes in the 4x100m relay on Friday but there's no other bigger fan than his stunning Jamaican lawyer and model girlfriend Kasi Bennett who couldn’t hide her excitement as she watched her man sprint his way into the record books. Bennet took to social media to praise Bolt in a string of tweets and Instagram posts following his heroics at Rio 2016. Usain Bolt revealed in January that he's has been in a steady committed relationship for two years. Awwwn this is so cool, don't you think?